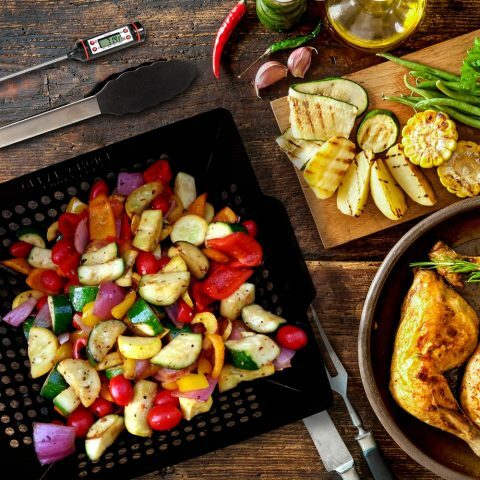 GRILL VEGETABLES, MEAT, CHICKEN OR FISH IN A FRACTION OF THE TIME – Effortless preparation, grilling, stirring, rotating, removal, and carrying . HELPS YOU IMPROVE YOUR FAMILY’S HEALTH – Makes vegetables and other foods taste better, increasing the desire for better nutrition. 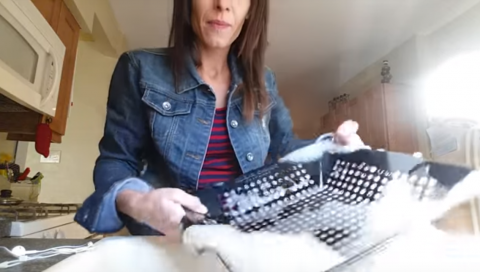 CLEAN UP IS A BREEZE – Simply immerse the grill pan in warm, soapy water after emptying, and wipe it clean. 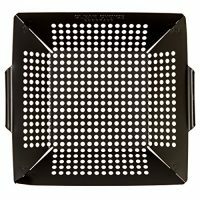 GRILLING BASKET MAINTAINS ITS BEAUTIFUL APPEARANCE – not discolor after a grilling event. 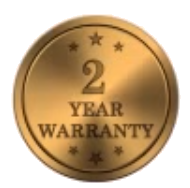 COMES WITH A TWO YEAR WARRANTY – Your purchase is a no-brainer with a guarantee from a solid US company. ★ A REAL STRESS RELIEVER – Good food will no longer fall through the grates and become ruined. ★ SAFE FOR YOUR FINGERS AND HANDS – There are no sharp edges or burred holes. ★ DISHWASHER SAFE – Place it in the dishwasher or wash it by hand. 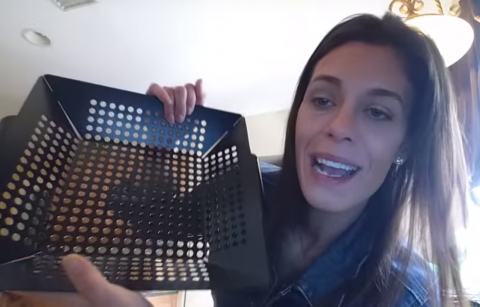 ★ USE IT ANYWHERE – On a backyard grill, at a picnic site, or on your kitchen stove. 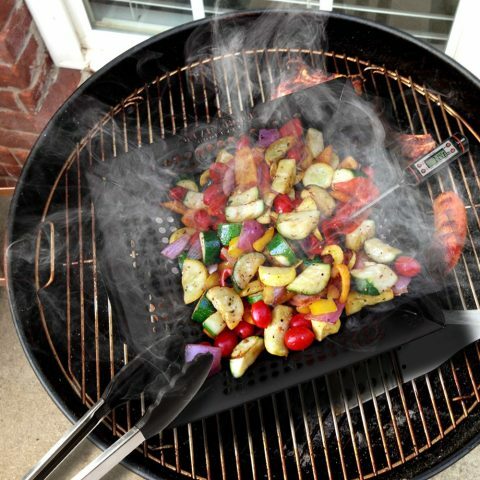 ★HIGHER SIDES keep food from falling out of the grilling basket.